This medium, springless folding knife is a pleasure to use and to hold. 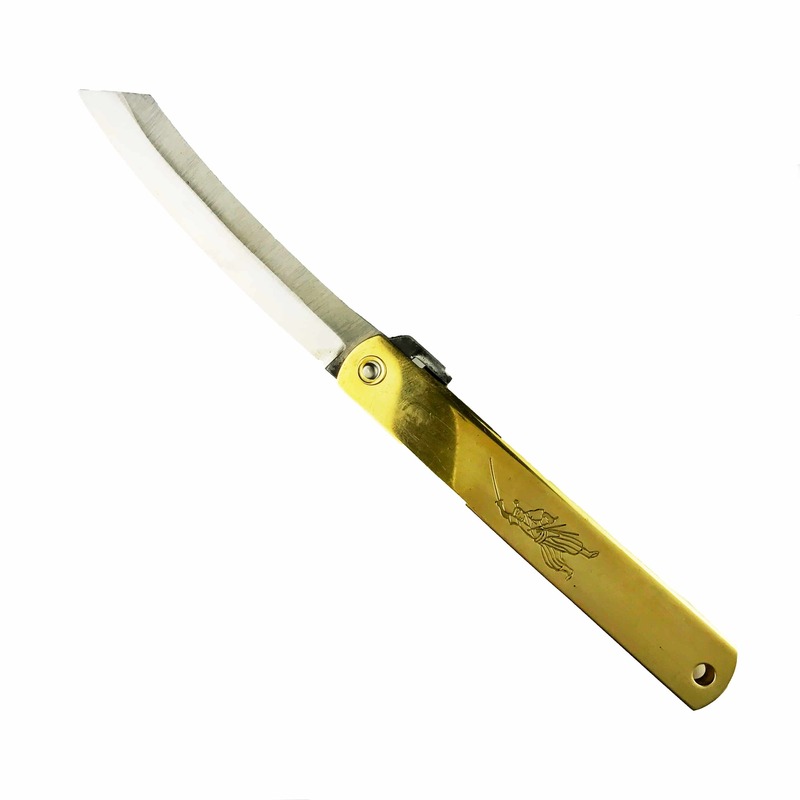 It has a very solid 98mm long, 4mm thick blade in a handsome, solid brass case. The blade is Augami Blue Paper Steel High carbon and is laminated like all traditional knives from Japan. It takes an unbelievable edge. Use it for marking out and trimming, or anywhere you would use a tough knife. It’s equally at home in the workshop or on the desktop. 125mm long folded. Made in Japan.